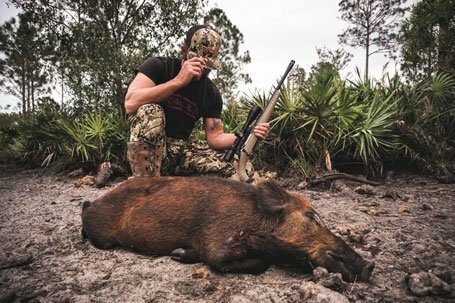 Your ultimate escape for Hog Hunting in Florida and more. Combining over 30+ years of experience with quality private land, the best equipment, and a family friendly atmosphere – we’re passionate about curating the best possible hunting experience to make memories that last a lifetime. 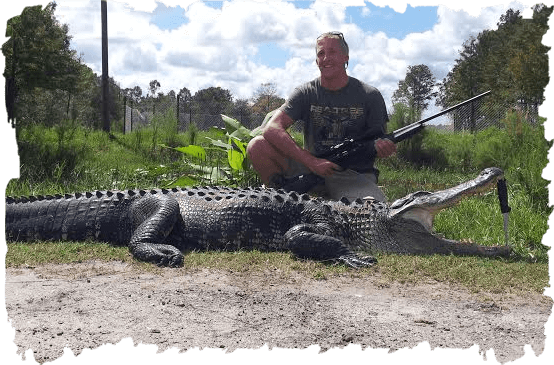 Get Ready for a Wild Florida Hog Hunting Trip! Hunt with the top guides in the industry! Get the experience of a lifetime! 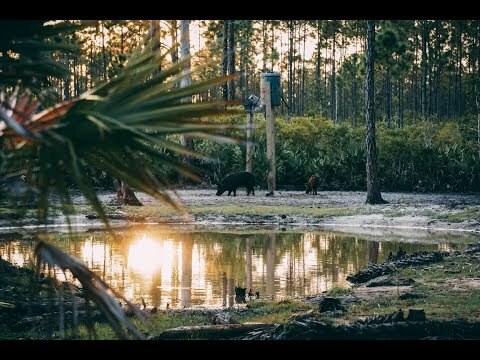 I was in Florida hog hunting one early morning, the temperature was nearing 74 degrees Fahrenheit. I could feel the warmth of the sun rising in the clear blue South Florida sky. As we worked our way along an oak finger on the edge of a mature saw palmetto field, my guide Andy, 10 yards in front clearing the way as we went, signaled to hold up. There were 8-10 hogs 60 yards to our right rooting it up. Andy gave me some quick last minute instruction then. I took aim and let the Benelli 270 WSM speak out, one time, that round found its way to a 282 lb. boar hogs heart that expired 25 to 30 yards from point of impact. What a thrilling and satisfying hunt! My guide, Andy, did all the heavy lifting, then back to camp for a late lunch and a little storytelling, then I have a date with a juicy meat pig. Sitting in a huge non-baited house blind located in an area where there is a lot of travel going to and from feeding/bedding areas by the hogs. I saw some real nice meat pigs that night I just couldn’t get a clean shot but that’s hunting. Real hunting! 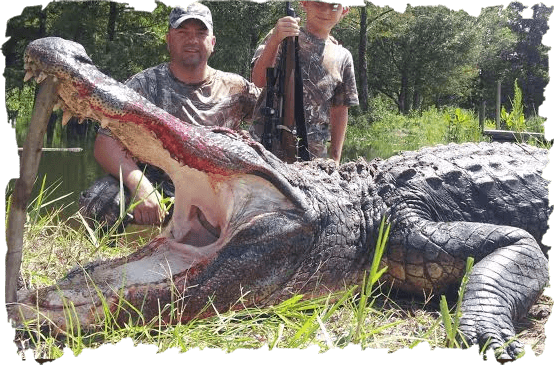 What a great start to a 3 day cast and blast, I am filled with anticipation waiting for tomorrows alligator hunt! More to come. What an awesome time! Everyone was just blown away with the hunt and we can’t wait to make it back. The whole weekend was just an amazing experience. Tom, Andy, and Chris, I have to say are just really good people. They are easy to work with, accommodating, and overall just a blast to be around. Andy managed the whole hunt really well. As the hunt manger, he was very organized, communicated well, and was upfront on all aspects of the costs of the hunt. Additionally, he was very accommodating, working with myself and my father to assist with my disabled brother. We had an absolute blast!!! Two day hog hunt, group of 7 and took 8 pigs! We will be eating good for awhile! The staff was excellent, helpful, and knowledgeable. Thanks for a great trip!!! We WILL be back! Worth every penny. Unbelievable hunt! Killed a monster boar at last light with my 11 year old. I will be hunting with again. Awesome, Awesome, Awesome. Can’t say it enough, Thank you for a great wild boar hunt. You guys rock! 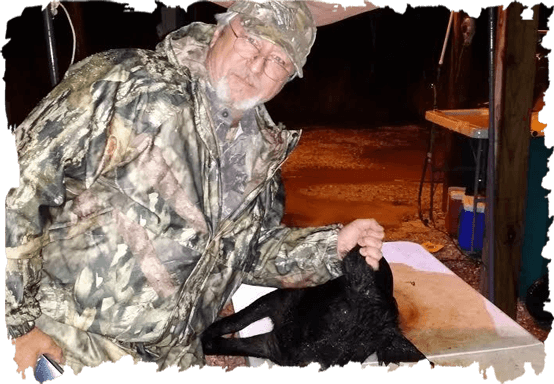 We offer four types of Hog hunting styles to suit your every hunting need. Whether you’re a beginner or a seasoned sportsman. Our most popular hunt combing trophy hogs, alligators, fishing, etc. 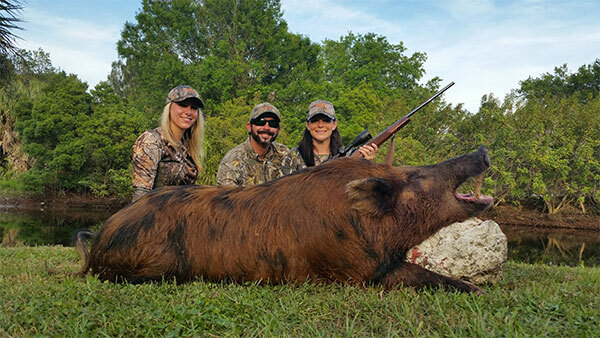 Our guides know you are taking time out of your schedule to come and experience hunting hogs in Florida with us. 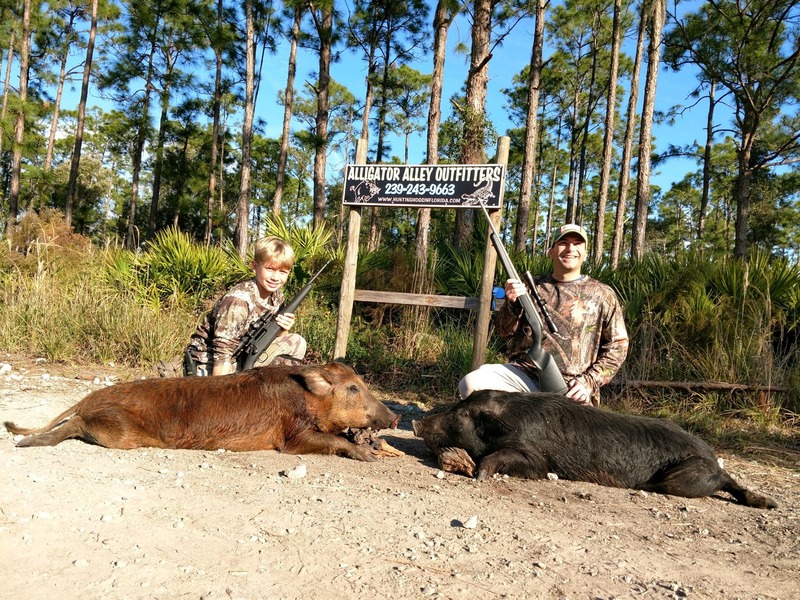 We feel honored and compelled to make your Florida hog hunting adventure the best trip you’ve ever had. 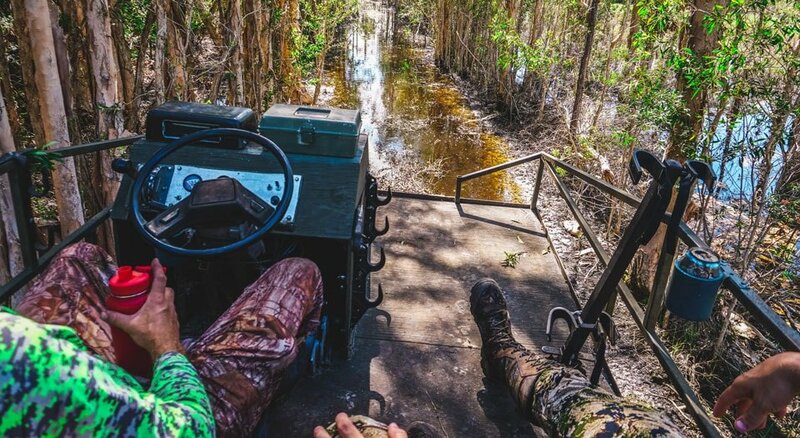 Our guides go the extra mile to help you discover a very real opportunity for the hunt of a lifetime to make memories with family and friends that last. 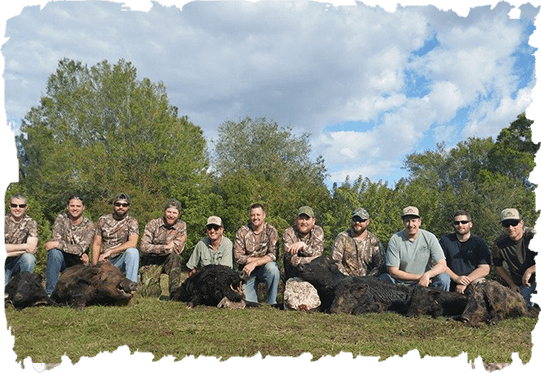 This package includes your choice of any hunting style that we offer for either two meat hogs or one trophy boar per hunter and includes one night of lodging for no additional charge.